Well, I’m back from Lilac Lane once again. 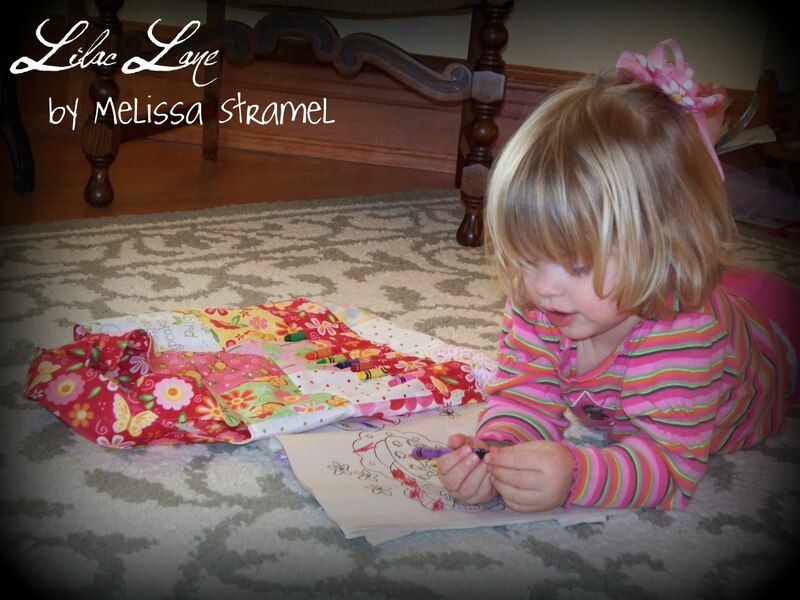 I’m Melissa Ann Stramel. Do your kids have the January blahs? Bake up this easy activity bag for them and fill it with crayons, coloring books, puzzles, books and games. It’s great for a car trip or church. Even better, one charm pack makes two bags! You will use every piece of the charm pack to make two activity bags. 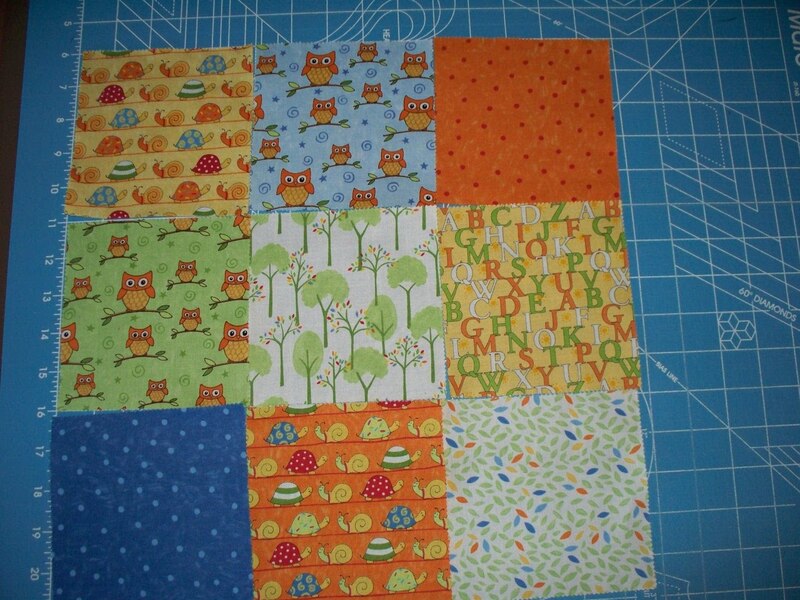 There are lots of good ways to dress up these bags: buttons, ricrac, ribbon, lace, felt appliques, etc. 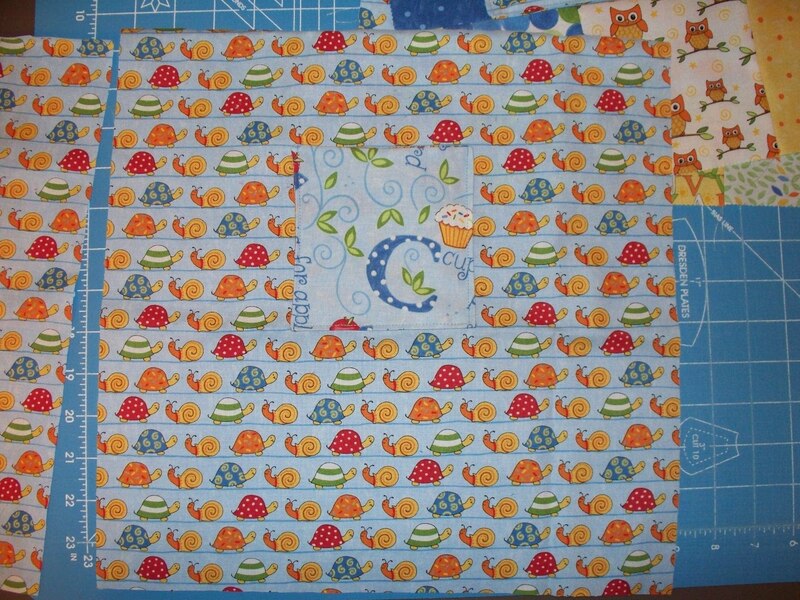 However, this fabric is so cute, I felt no embellishment was needed. 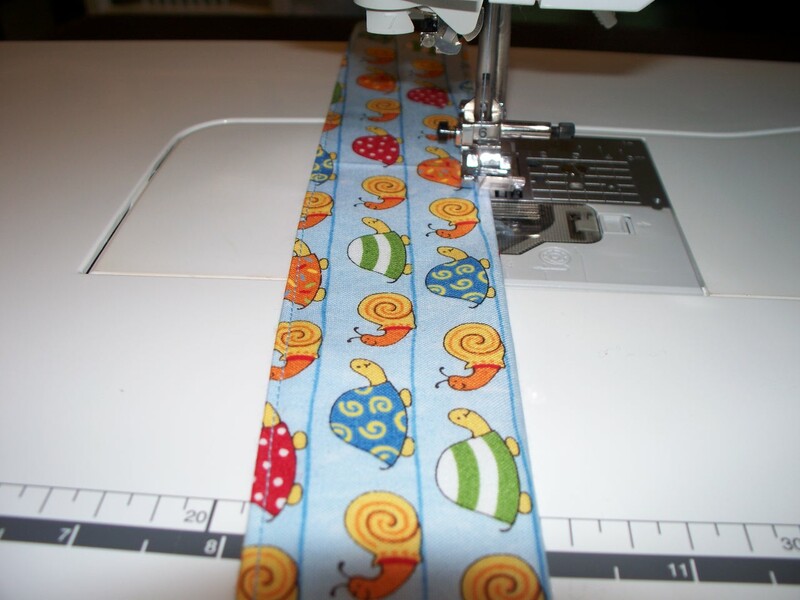 Unless otherwise noted, all seams are 1/4 inch and all topstitching is a scant 1/8 inch. 1. Sort your charm pack into two groups, one for each bag. You will need 21 squares for each bag. 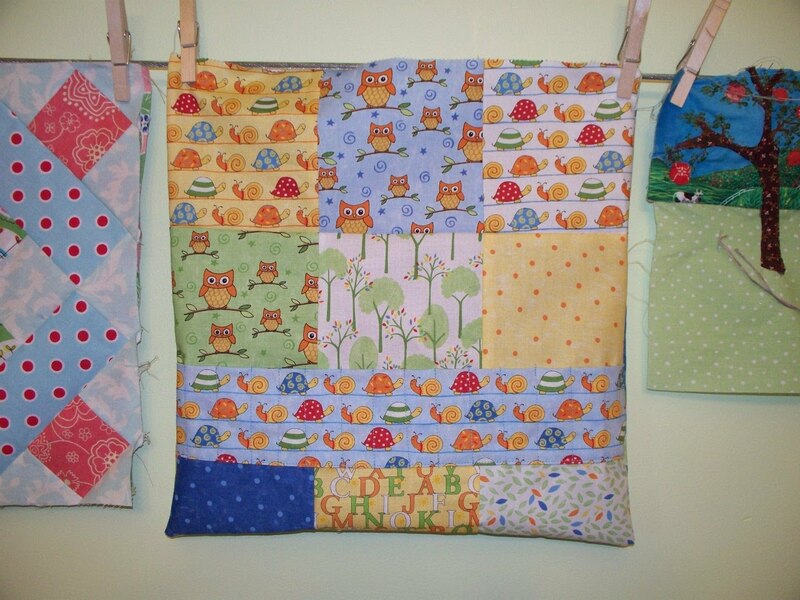 If you use Love U by Deb Strain, you can make a very boyish and a very girly bag. 2. Choose nine squares for the front of the bag and nine for the back. Think about where the front will join the back and make sure you don’t put two very similar ones together. 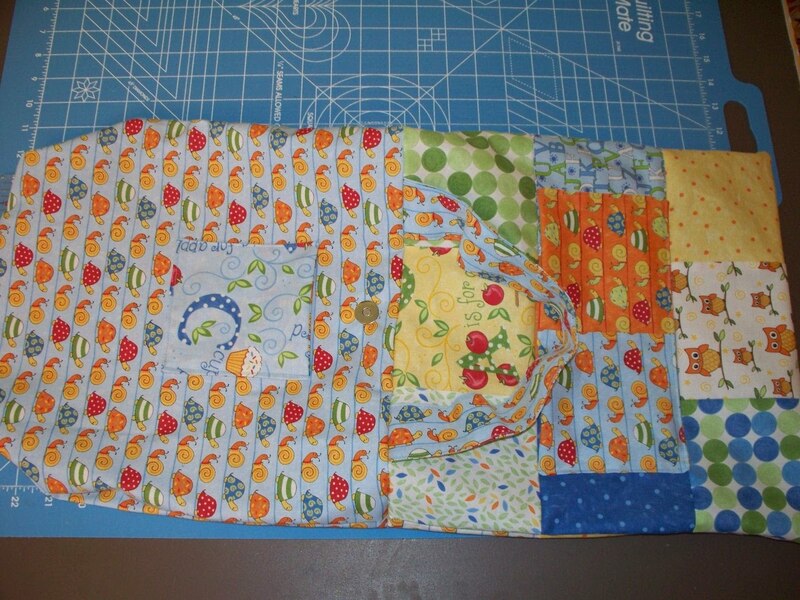 At this time you should also pick out two squares for the back pocket and one for the inside pocket. 3. 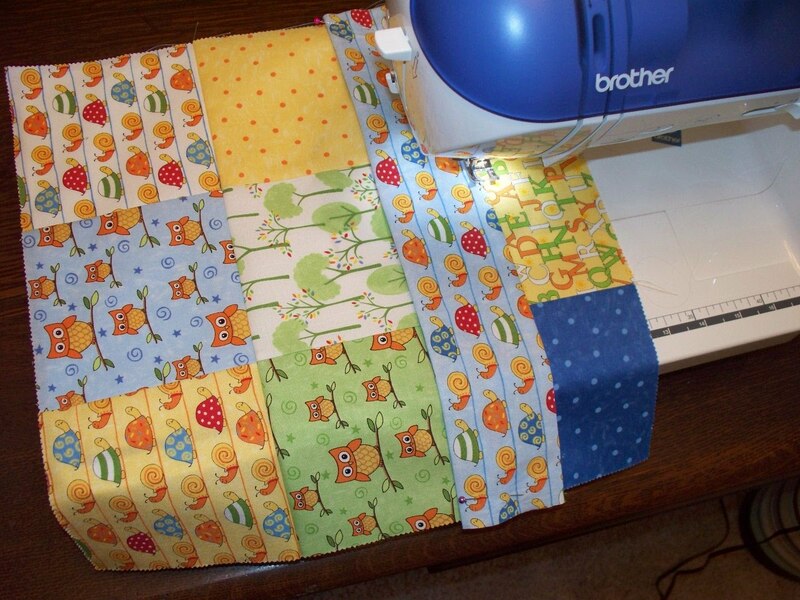 Using a 1/4″ seam, sew two large nine-patch blocks with the squares you’ve chosen for the front and the back of the bag. 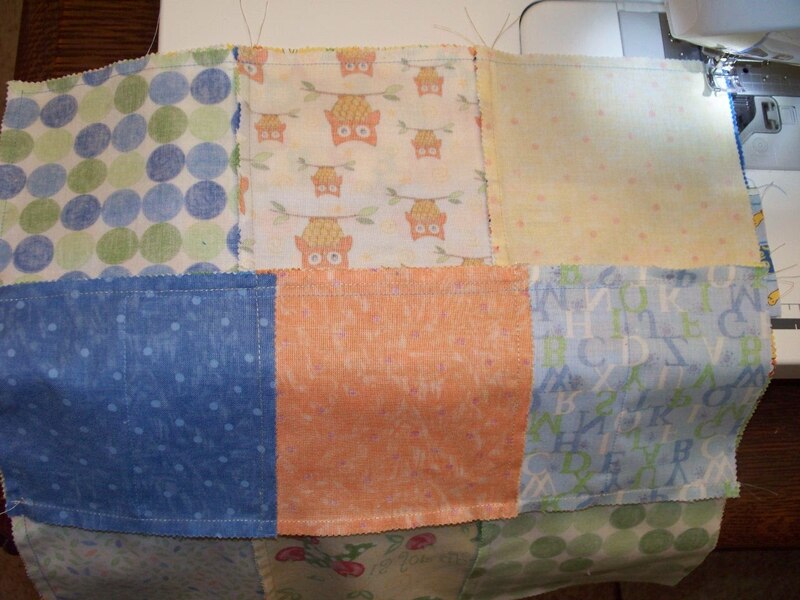 Go ahead and sew the two pieces for the outside pocket together as well. 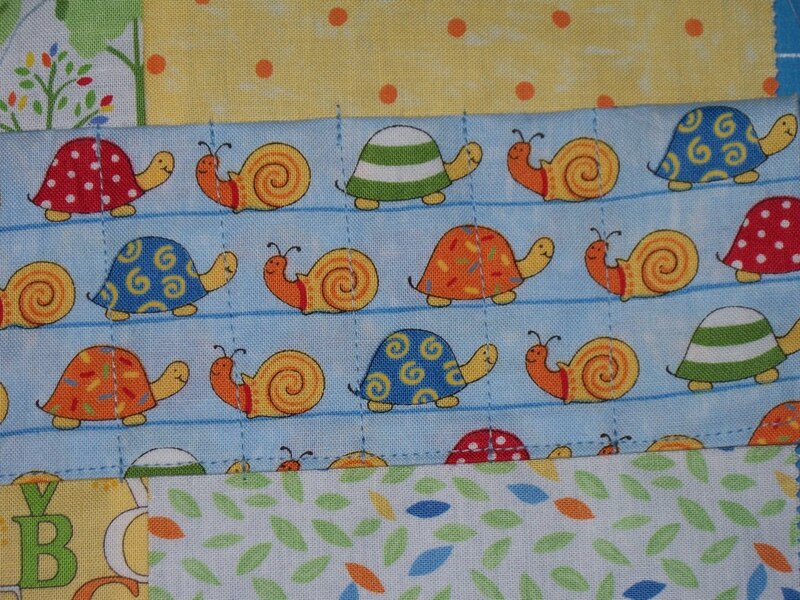 The pocket will be horizontal, so if your fabric is directional, make sure to place it correctly. 5. 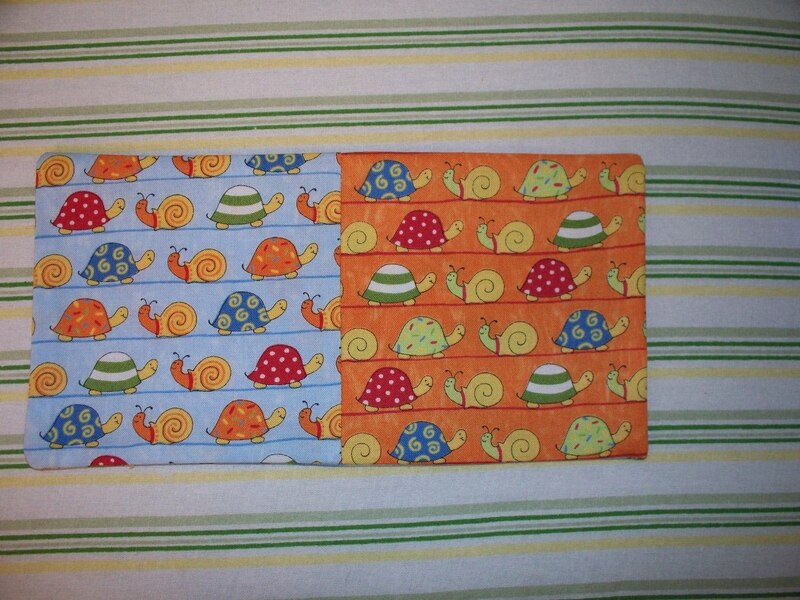 Working with the fabric you cut for the crayon pocket, fold it in half so that it is still 15 inches long, but half as wide and sew down the raw edges with the right sides together. Leave both ends open. Turn it right side out. 7. Center the crayon pocket in the middle of the bottom seam of the 9-patch you made for the bag front. 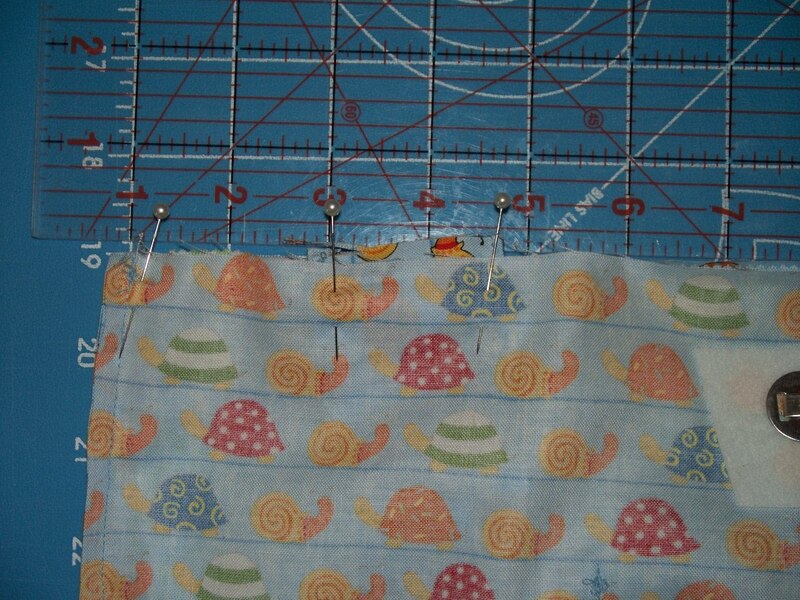 Pin in place and then topstitch (1/8″ or less) along the bottom of the pocket. 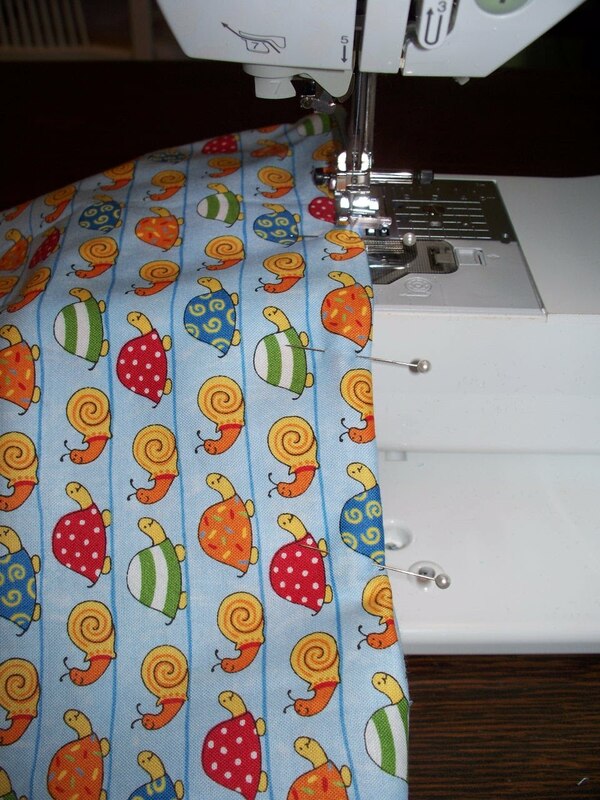 It works best to start at the bottom seam that you already made and work up to the top of the pocket. Make your lines as straight and as evenly spaced as possible, but don’t worry if you get off. Once the crayons are in the pockets, they cover many mistakes. Make sure to snip all your threads. 9. 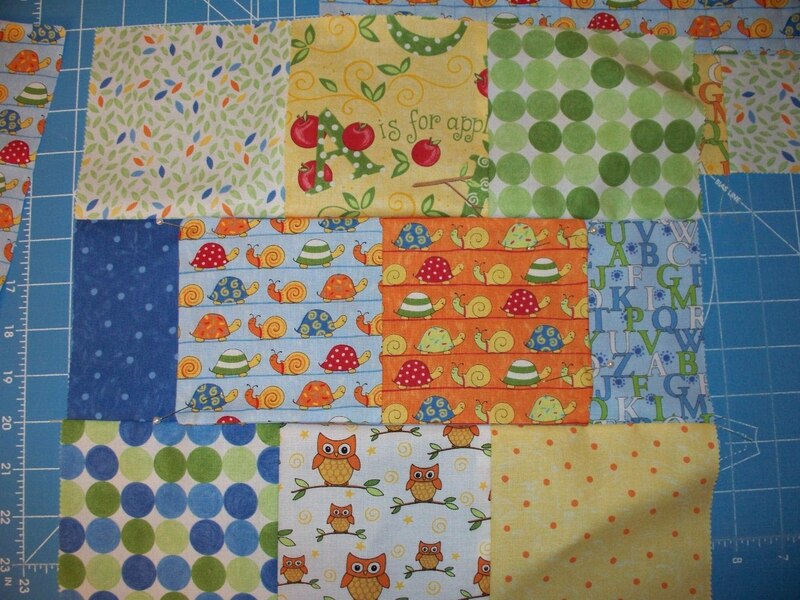 There are lots of ways to make pockets. I prefer mine lined. 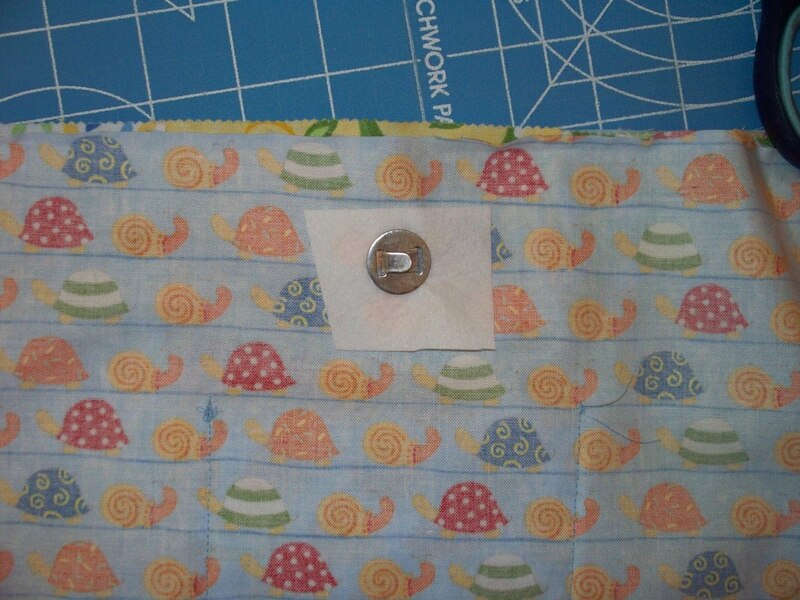 To make pockets this way, take the outside pocket, sew around three sides, leaving one of the short sides open. Clip the corners and turn right side out. 10. Press the pocket flat and then turn in the open side 1/4 inch and press it closed. 12. Repeat these steps for the small inside pocket. (Kids love pockets!) Center it in the top third of one of the lining pieces and sew around the three sides. 13. 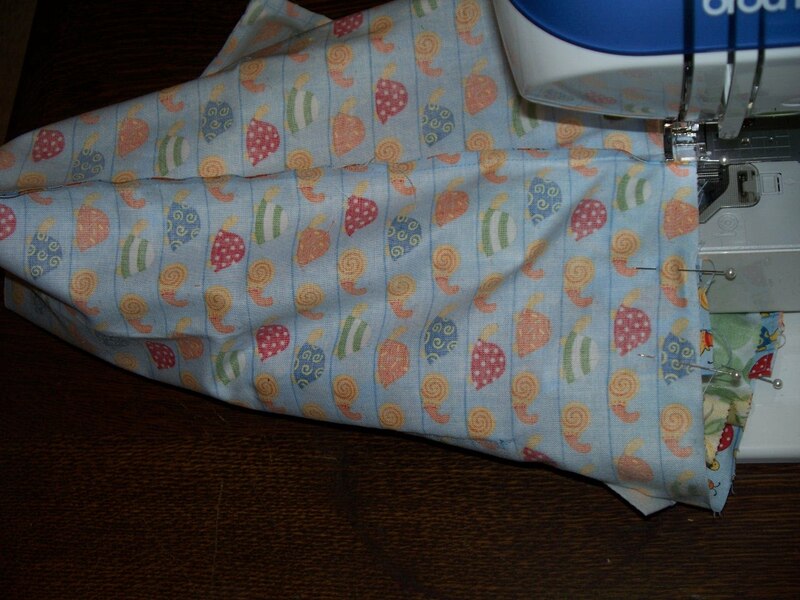 Take the bag front and back and placing right sides together, sew around three sides, leaving the top open. 14. Turn the bag right side out. It should look something like this. 15. Repeat the last step for the bag lining EXCEPT leave a large opening in the bottom of the bag. Somewhere between 6 and 8 inches should be plenty. You will need this to properly put the lining of the bag into the outside of the bag. 16. Place the bag, with the right sides facing out, inside of the bag lining. 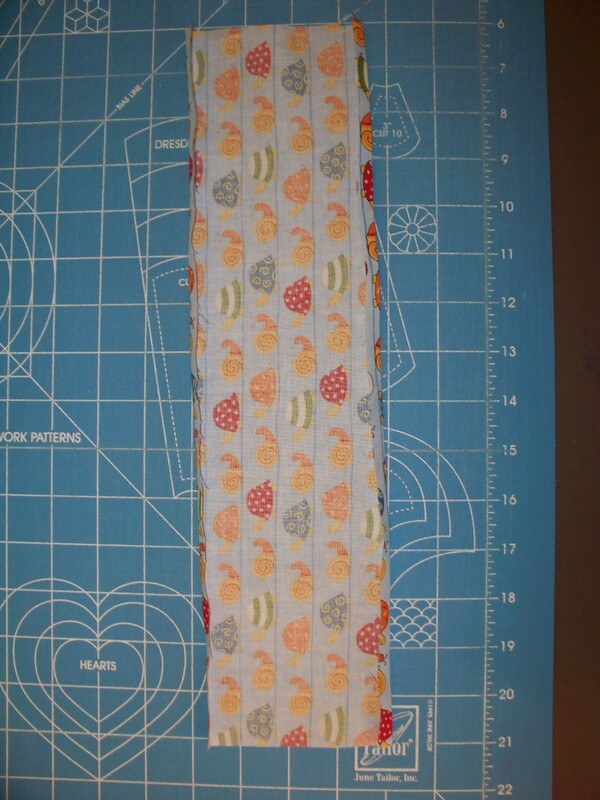 pin the side seams together and make sure everything looks like it will fit together. Then measure the middle point across the top of the bag. (Should be about 6.5 inches.) Measure 1.5 inches down and make a mark. 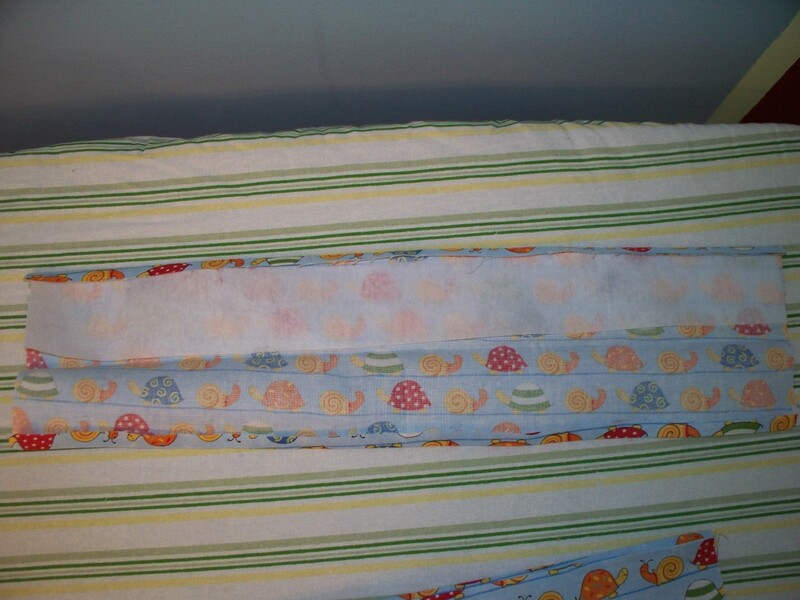 Then taking the magnetic snap, mark where the prongs will push through the fabric. Use your ripper to make two small slits at this place. (really small, be careful!) 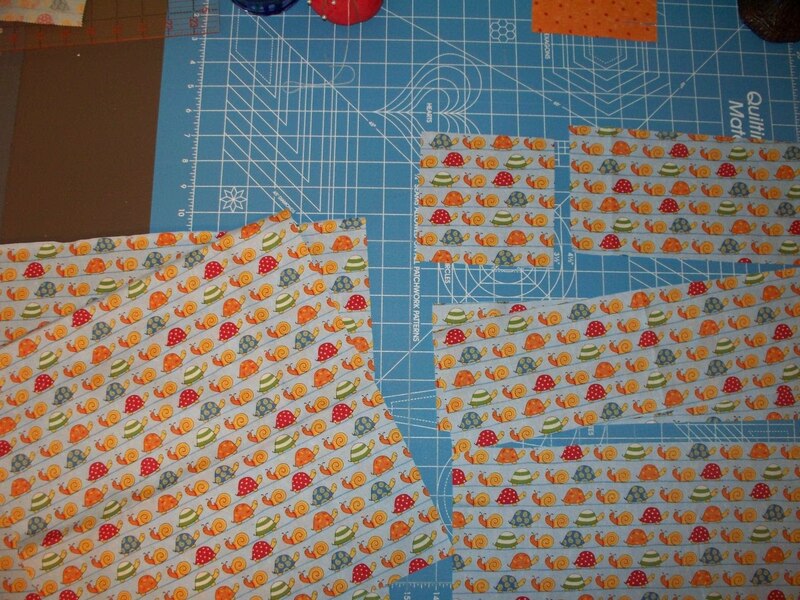 Cut two pieces of heavyweight interfacing 2″ x 2″. Make the same slits in the middle of the interfacing piece. 17. Each snap has a male end, a female end and two washers. I prefer to put the female end on the back of the bag. The snap goes on the printed side of the bag facing. Carefully push the female end through the lining fabric. Then place the piece of interfacing over the prongs. Finally, place the washer over the prongs on the wrong side of the bag lining. Push the prongs inward to secure the snap. Hint: Pushing the prongs in instead of out makes the snap more secure. Repeat this procedure on the other side of the lining with the male end. 18. Now taking the two bag handles, press in 1/4″ on both sides. 19. Press the handle in half and measure its width. 20. 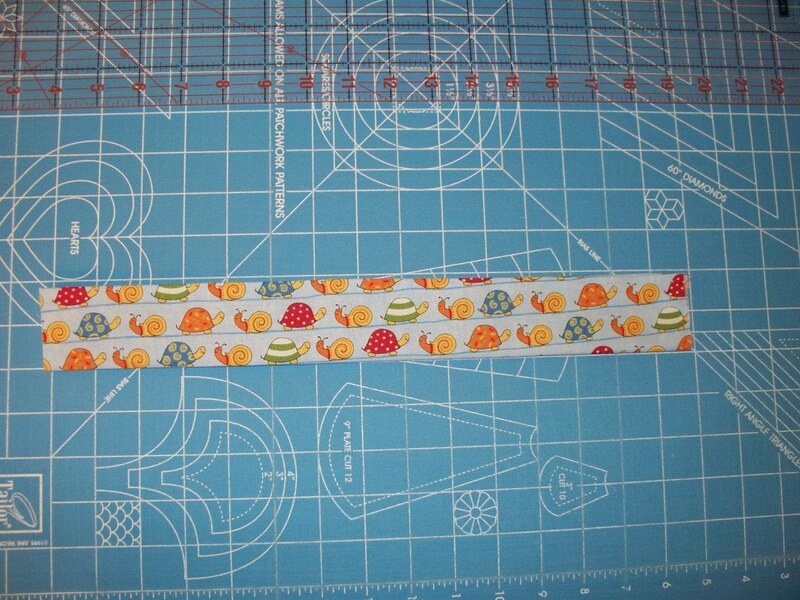 Taking the measured width, cut a piece of medium weight interfacing 15 inches by 1/8″ less than your measurement. 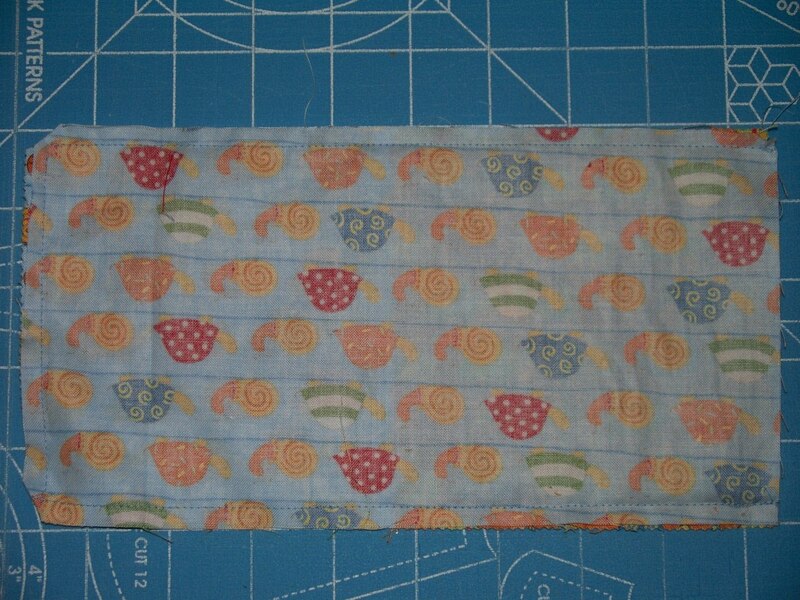 Push this piece of interfacing under one of the pressed under 1/4″ flaps. 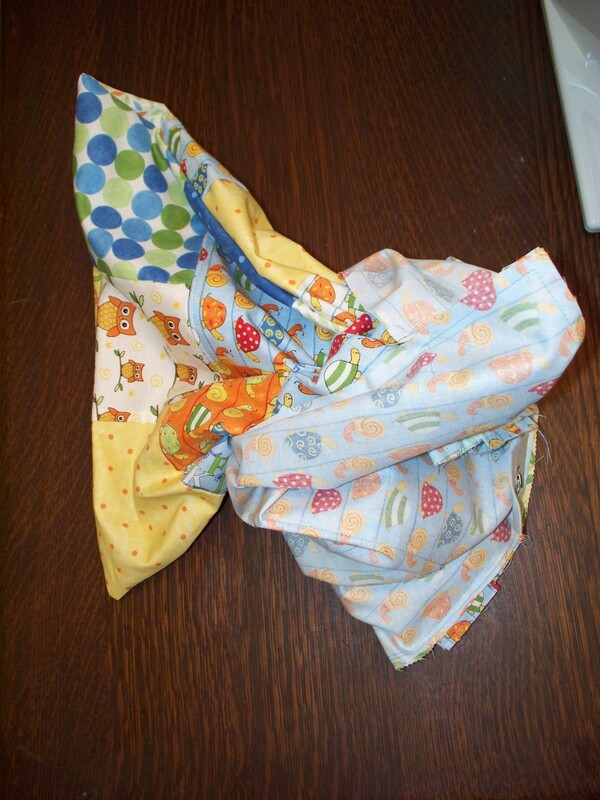 Fold the handle back in half and, if it is iron-on interfacing, go ahead and press it so it will stick to one side. Repeat with the other handle. 21. Topstitch along both sides of the handle. Hint: If you used iron-on interfacing, place the side with the interfacing fused to it on top. The handle will feed through the machine more easily. 23. 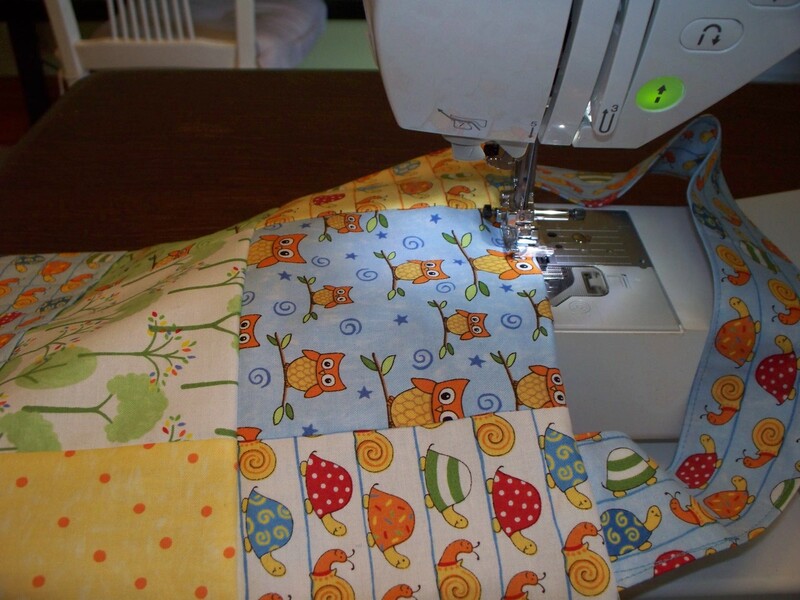 Stitch all the way around the bag with 1/4″ seam. You may want to use a few more pins to hold everything together. 24. Remember the hole you left in the bottom of your lining? Pull the right side of the bag out through that hole. 25. Keep pulling until the entire bag and its lining are pulled out of the bag. 26. 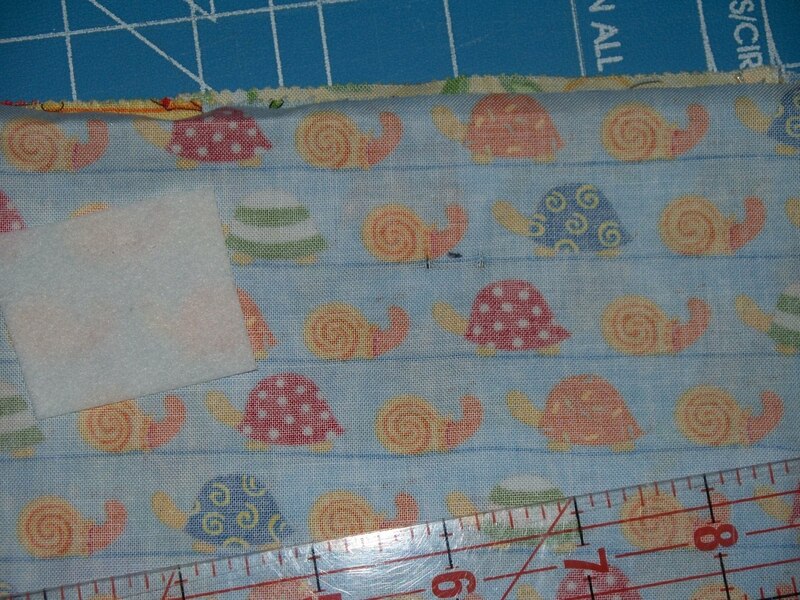 Taking the bottom of the lining, pin the hole closed with the raw edges turned inside the lining about 1/4″. Topstitch along the bottom of the bag to close the hole. 27. Push the lining into the bag. Topstitch around the entire bag, keeping the lining on the inside and the top of the bag on the outside. You did it! Fill your bag with goodies: games, little toys, crayons and coloring books. Make your child’s day with something bright to fill those winter hours. Then come visit me at Lilac Lane for even more great ideas! 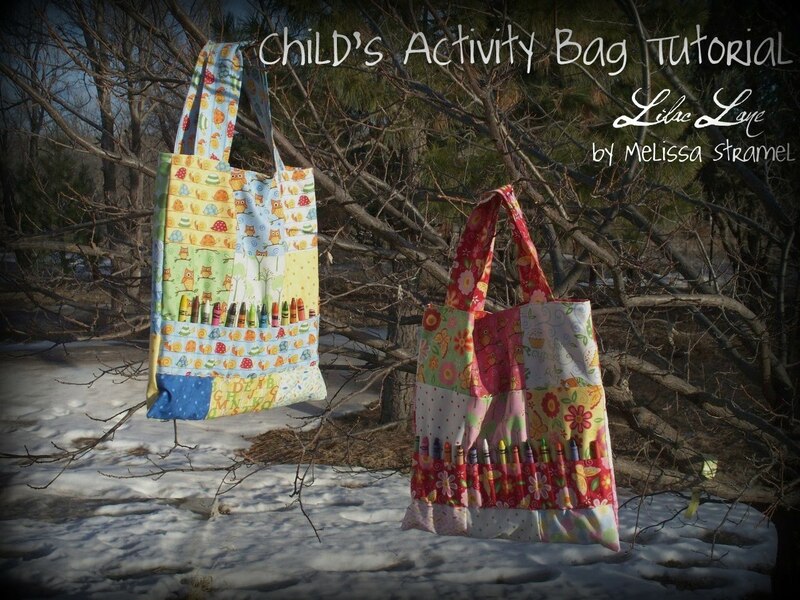 Two cute activity bags, sure to cure the winter blahs. 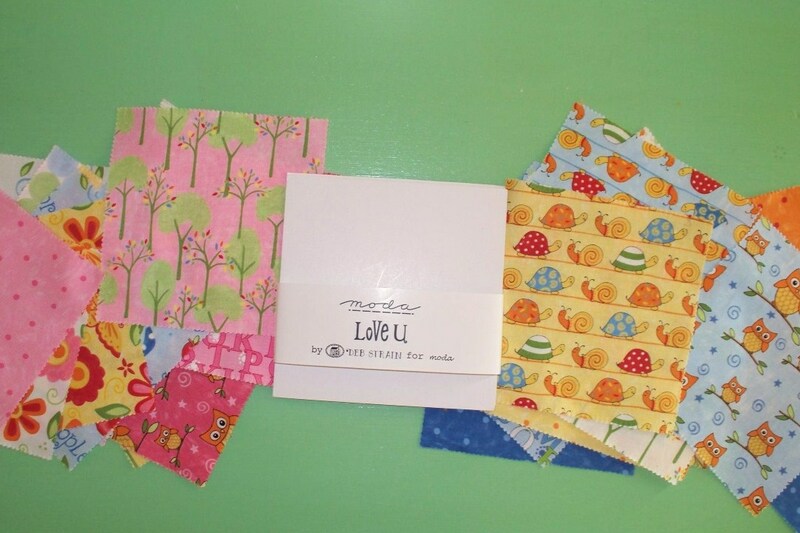 This entry was posted in Baby and Kids, Bags and Totes, Charm Pack, Easy and tagged Deb Strain, Lilac Lane Patterns, Love U.
Es muy bonita, este fin de semana le are unas a mis hijos. 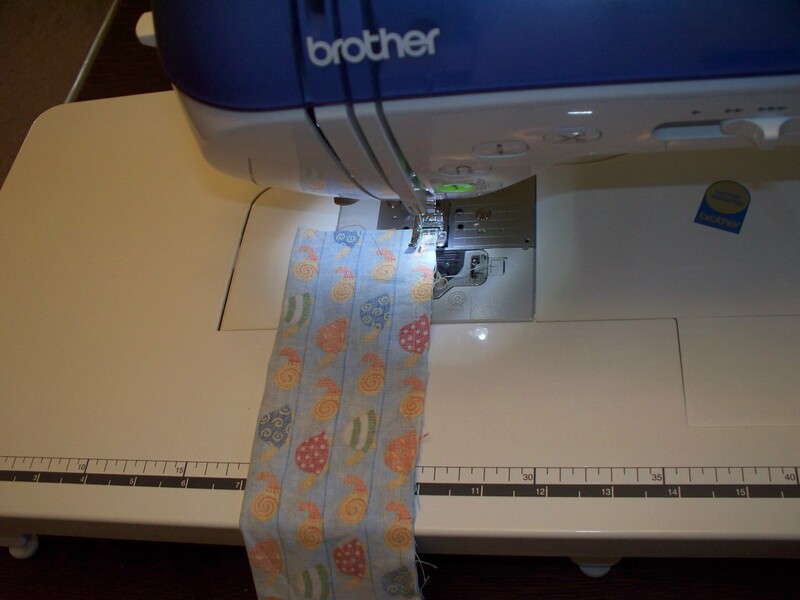 What model Brother sewing machine do you have? I hope that you are happy with it. I have just put one on lay-buy and I just can't wait to get it!! Great idea, just too cute! this is super cute!! and ihave one of these charm packs, i might have to make one!! I love these bags. They are truly fantastic to have with kids! My sister made each of my kids some beautiful ones similar to these! So fun! Love this—–think I will make it for my great-grandchildren and fill it with goodies, crayons, coloring books, etc. Thanks for the idea. I love it! It's such a good idea!! 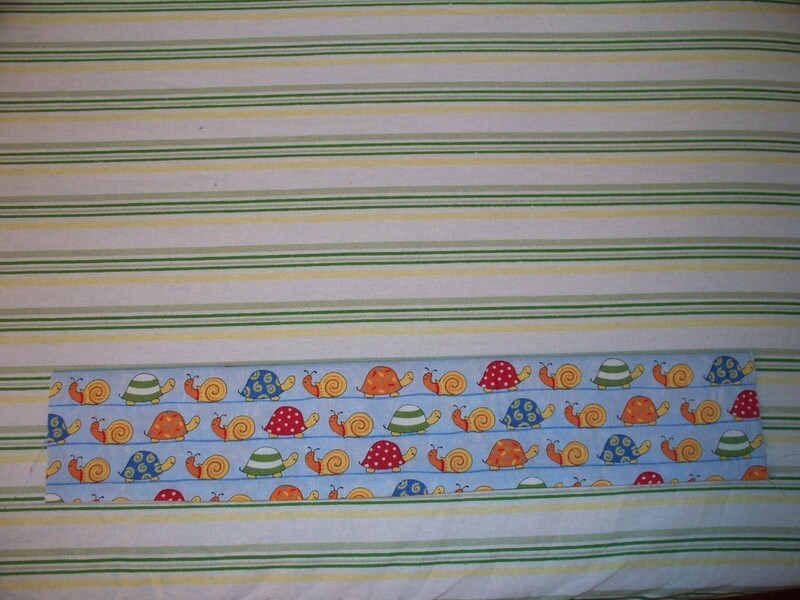 Plus a great project to make for a little boy and it's hard to come up with things to sew for boys! Awesome recipe for fun Melissa! My son would love it. The crayon pouch on the outside is so clever. And two bags out of one charm pack? Excellent. Thanks for this great pattern! I'm going to make one tonight for my friend's 3 year old daughter! So cute!!! I have two girls that would love this bag. Great tutorial!!! I am having trouble leaving comments for some reason. But I will say it again. Congratulations I am so impressed with you and your projects. I can't wait to try it. Thanks for sharing! I've linked your post in my blog. This is just too adorable. I've printed out the pattern and this is my first project for next Christmas — my two little granddaughters are going to be delighted! Thanks for sharing the pattern with us. 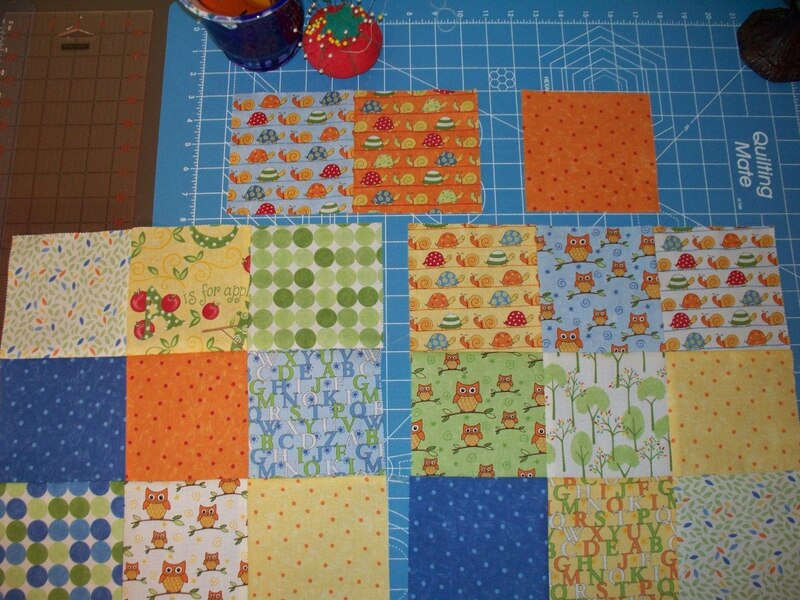 This is so cute, I'm making a baby blocks out of the same fabric and was hoping to find a pattern to hold the blocks! I'm wondering, what is the dimension of the finished bag? The finished size of the bag is about 13.5 by 13.5. Of course that depends on how closely you followed the 1/4 inch seam allowance! Have fun! this is just to darn cute! SUPER cute bags! Thanks for the instructions!! Where is the printer friendly version?? 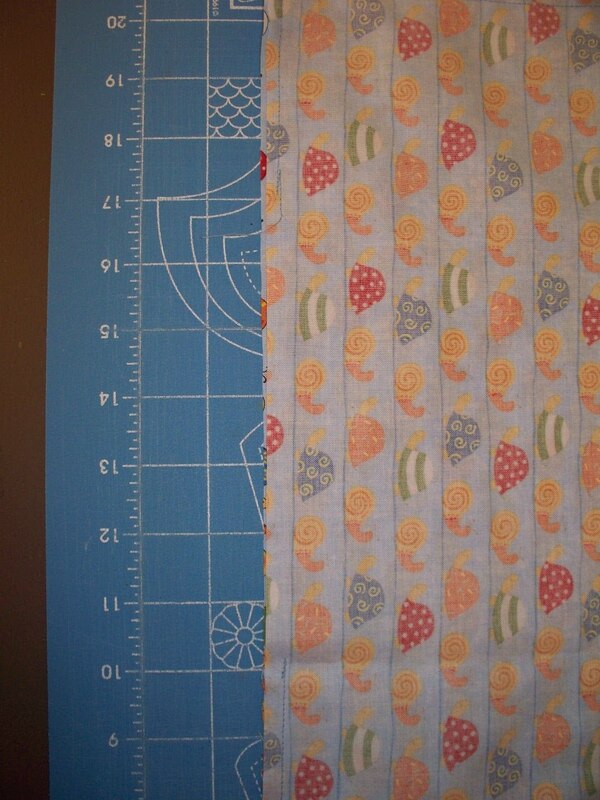 Taking the measured width, cut a piece of medium weight interfacing 15 inches by 1/8″ less than your measurement. But in the cutting instructions, it seems the handles are only 14 inches long, correct? So am I supposed to have some extra length on the interfacing? Or did I muck something up (most likely option)? The bag is looking super cute, and I can't wait to finish! !